The HERO program allows 100% financing to purchase and install eligible energy-saving products to a home. One feature of this program is the ability to roll the financed amount into your property taxes. The interest paid on your property taxes could offer tax benefits. If the property is sold before the loan is repaid, this assessment will pass on to the new property owner. It's a great way to make energy efficient upgrades to your home. But there are some reasons to think twice before rolling the benefit in to your property taxes. To qualify for the program it requires homeowners to have at least 10% equity in their property with their current taxes and mortgage payments up to date. As long as you haven't filed for bankruptcy and the appliances or products fall under the approval list, you should be eligible. There are some drawbacks to this though as well. Even though the HERO loan is transferable to the next homeowner, many banks may not even lend on the property until that debt is settled prior to closing. In addition, the lender will need to add the additional assessment in to the buyer's qualifying ratios. I've seen this ruin a lot of transactions because it throws the buyers ratios out of wack causing them to not qualify. Another problem is these loans may not show up on your tax bill but instead show up as a second tax bill so homeowners may find themselves paying more because they've missed a payment, something that definitely should be reevaluated with the program. As long as you are prepared and plan for it, this could be a positive program for your energy efficient needs. Because this is considered a tax lien, it will take priority if you go into default and stop paying your mortgage. FHA prohibits Fannie Mae and Freddie Mac from purchasing loans with this type of setup. Refinancing may not be an option in the future. There are good and bad things about this HERO program. On one hand, you get to improve your home with energy-efficient items but you may also have higher interest rates and your tax base may increase within a year requiring you to pay all the charges and possibly increasing your mortgage. 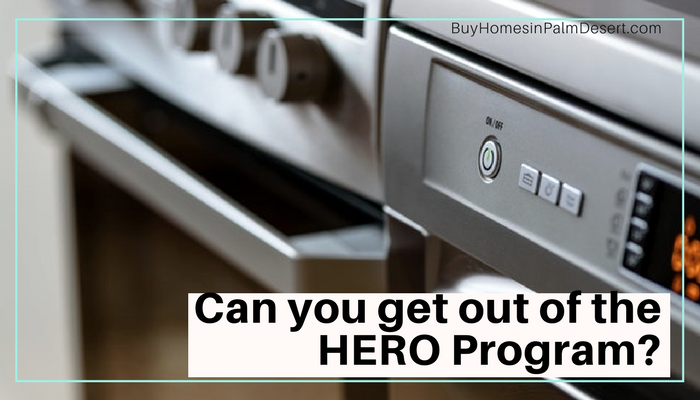 If you're interested in the HERO program OR you want to refinance out of the program, call me! We help all types of homeowners, buyers, and loan borrowers with their specific needs. I'd love to discuss these options with you today.